This week we have some epic footage of a glacier calving on "Alaska: The Last Frontier," a lot of questionable decisions on "Edge of Alaska" and a new season of "Homestead Rescue" on the docket. First, as I was preparing to hunker down on a snowy night for an episode of "Edge of Alaska," there was a legit awesome preview of next week's "Alaska: The Last Frontier." A handful of the Kilchers are on a fishing boat when a giant part of a glacier breaks off, and they are afraid the wave is going to take out their boat. It seemed a) scary, b) real and c) entertaining. Catch it on Sunday at 8 p.m.
Next, "Edge of Alaska" was chock-full of the characters of McCarthy running into the obstacles of their daily lives. First, Neil, the resident businessman, has decided to sell downtown McCarthy to the highest bidder. In order to make it more desirable, he wants to increase the capacity of the generators. In the process of doing this, he almost electrocutes himself. Then there is Jeremy. 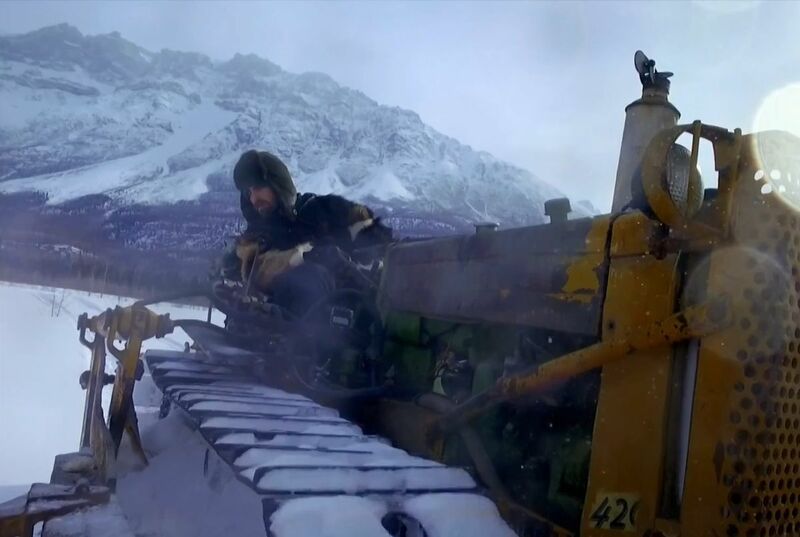 Last week, Jeremy fell through some ice trying to move his new, old bulldozer, which quickly stopped working. So he decides to borrow a dozer from Neil to clear 300 trees on his property to create a hayfield. While clearing trees, he almost gets impaled by one that comes into the bulldozer, pointed directly at his chest. Then he tries to drive over the downed trees to flatten them. The bulldozer ends up at a 45-degree angle and quickly snaps forward, whipping Jeremy's head into the rear view mirror. It looked like he could have suffered a concussion and neck injuries. Most importantly, in this episode we got two encounters with Guy Holt. Guy Holt is Neil's handyman and local crab. He basically just says "yeah" (in a crabby voice) to every question asked. He also ends up trading Jason 12 pieces of wood for several large windows. I'm not an expert, but I think Guy got the better end of this barter. Guy also has an amazing beard and seems like he is so over all of his neighbors, or at least the cameras following him. Guy is just keeping it 100, and I loved him. After Jason is done bargaining with Guy, he tries to make it home over the river and drives right into open water. He is able to quickly get his snowmachine unstuck, but I can't help but think how infuriating it probably is to have your snowmachine stuck in a river while a bunch of camera people are filming you and not helping. His response to this is "freedom ain't free." Finally, the always-quotable Raney family is going to be back helping terrible homesteaders on a new season of "Homestead Rescue." It airs on Wednesday evening, Nov. 15. Emily Fehrenbacher lives in Anchorage, where she reviews Alaska reality TV. You can reach her at realitycheck@alaskadispatch.com or on Twitter @ETFBacher. Emily Fehrenbacher lives in Anchorage and writes "Reality Check," a regular look at reality television set in Alaska.